Before I go into my review, I should make it clear that I am not a big sports fan. I think that this may have had a slight influence over my enjoyment of the book. Sports play very heavily in the book and at times I did find my interest waning slightly, but I have to give it to the author for he has managed to do something really different to the dystopian genre. When I read the synopsis of the book, my mind instantly went to that famous movie and book series, The Hunger Games. Ivon is so far removed from that trilogy that apart from the fact there is Games in this book. There has been some sort of cataclysmic event that has resulted in the UK being plunged into some sort of energy crisis. The solution seems to be solved by people creating power. I’m not terribly clear how this is banked and such, but it is collected by doing exercise or working some sort of machine when attending the various sports events. Somehow the amount of energy that people can create is related to if a team wins. The United Kingdom has become fractured. England and Scotland are united in a more scientific and structured way of life. The focus seems to be making people as efficient as possible. Everyone has a life span and when your designated time is up, you are sent to some sort of stasis. Computers and science have taken over and everyone works for the community. Individuality is frowned upon. You get a real sense of how clinical the world has become. The character that the book is named after, Ivon, comes tearing into this well-structured world and with him the ripples begin to emerge. This is due to the fact that he has lived in Wales, which still adheres to the old way of living. The fact that he is the offspring of two of the upper-class sports people of London, results in him being a super sports man. 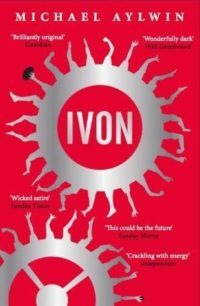 It is through Ivon, we truly grasp what it is to be an outsider in this world. That is not to say that he is a sympathetic character, but I did end up empathising heavily on his role within this world. I admit, I wanted him to be the spark that lights up the revolution in bringing this world back to what it once was. As I said, the sports side was not a big draw to me, but I did enjoy reading about the science in creating these athletes. It is clear that the author has an interest in sports and shows a mirror towards sports now. From my limited knowledge on the subject, science seems to be playing a part in the many different sports. For better and for worse, the risk is trying to be eradicated. In doing so, it could be argued that sports are losing something. Though this is to help and protect the athletes, the element of risk and danger that makes sport exciting for the spectator is reduced and at times seems to make games or races lose the appeal. This is a double-edged sword. The book also concentrates on Dusty Nobel, who is one of the most successful batsmen that London has seen. It is his visit to Wales that is the first step to Ivon coming to London. Dustys journey is the exact opposite to that of Ivon. Dusty has dedicated his life to the community and now it has come to the end. He is going through a crisis of existence, which is amplified by his new job. The book ends ended on a different note from what I expected, but it did fit in really well with the book overall. 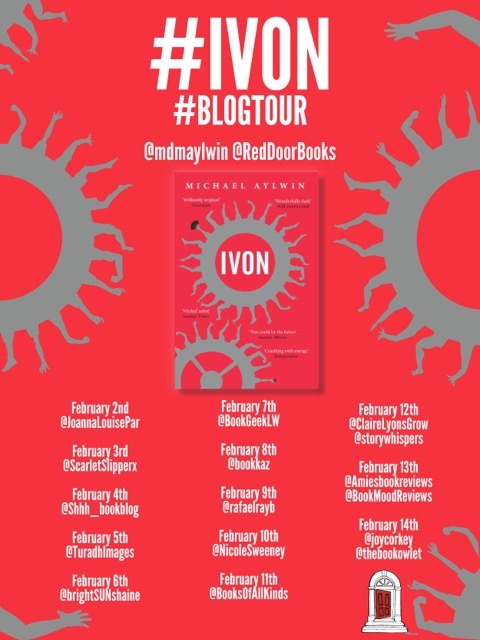 Ivon was a really interesting book and Alywin has shown a real talent for creating a distinctive futuristic world. It is difficult to try and stand out from other dystopian novels.